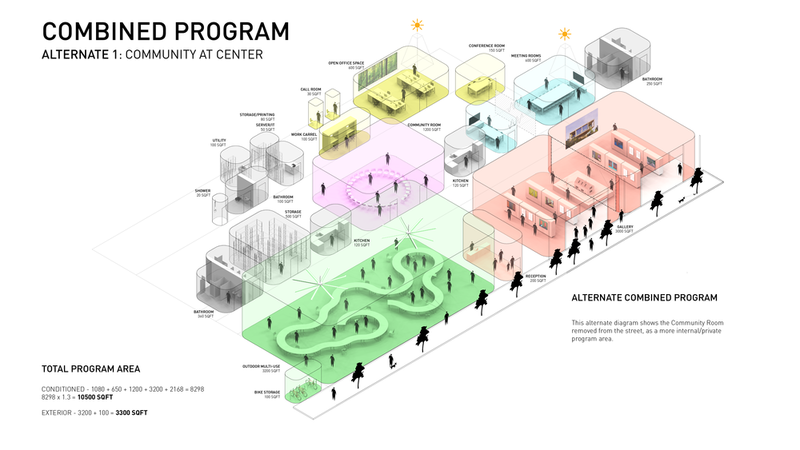 The new Austin Center for Architecture will be a cultural landmark—operating as a community-oriented information center for the public, a resource for AIA Austin members and the design community, and a destination to host the combined philanthropic efforts of AIA Austin and its nonprofit partner, the Austin Foundation for Architecture. 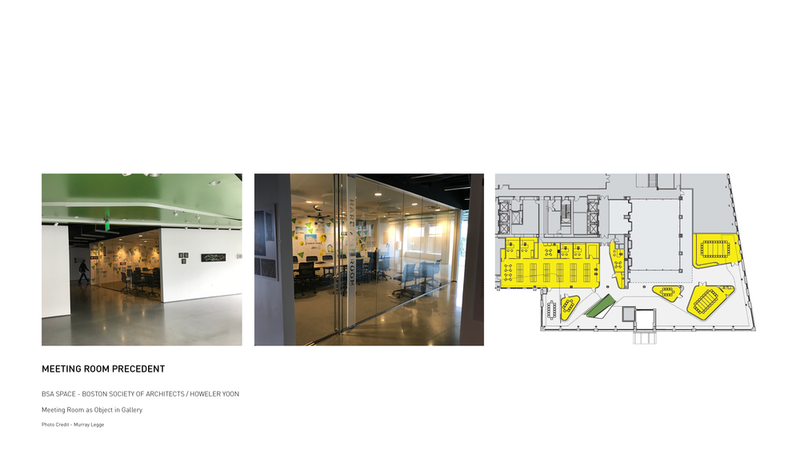 The new facility will expand AIA Austin and AFA's presence in the region, increasing public engagement and providing a community resource, as well as better serving the growing AIA Austin professional membership. 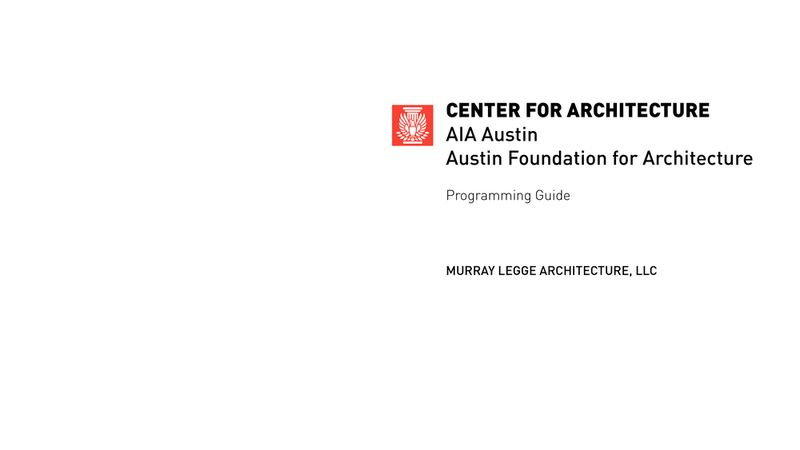 This programming guide sets the square footage, space, and operational requirements for the Austin Center for Architecture, which will include offices for the Austin Foundation for Architecture and AIA Austin Chapter within the context of needs for the next 10-15 years. 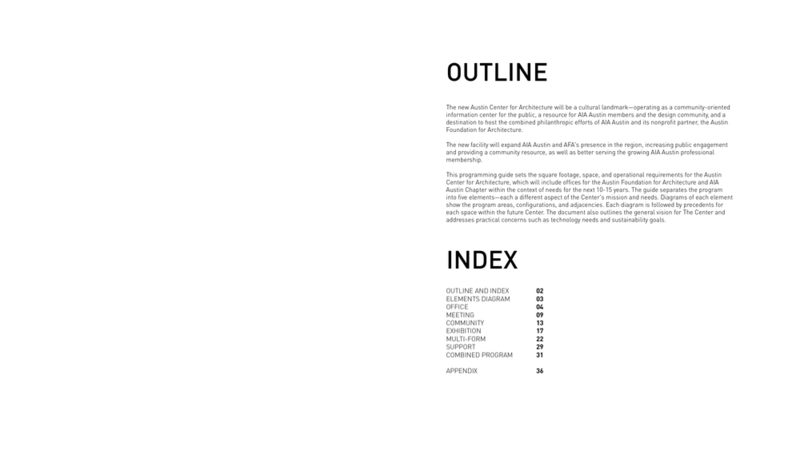 The guide separates the program into five elements—each a different aspect of the Center's mission and needs. 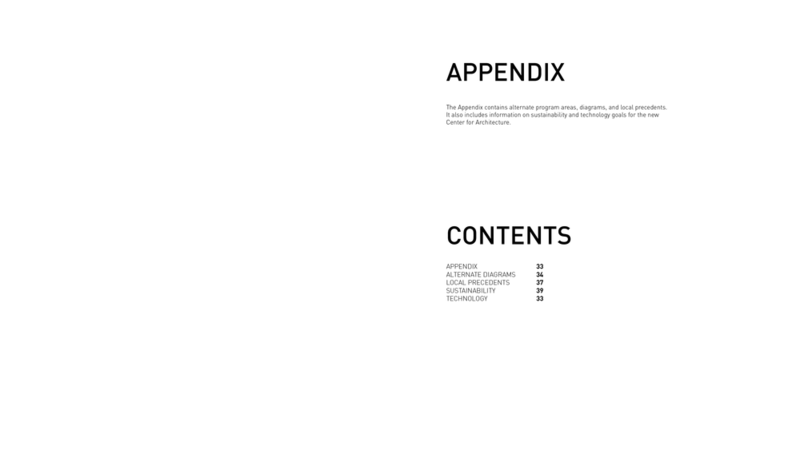 Diagrams of each element show the program areas, configurations, and adjacencies. 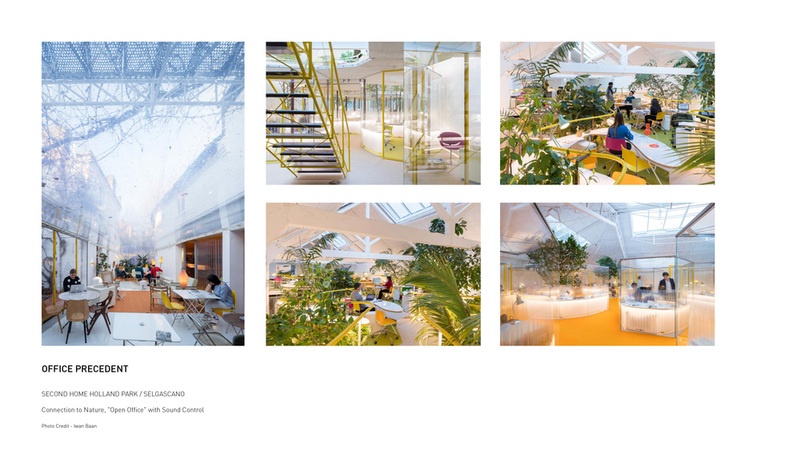 Each diagram is followed by precedents for each space within the future Center. 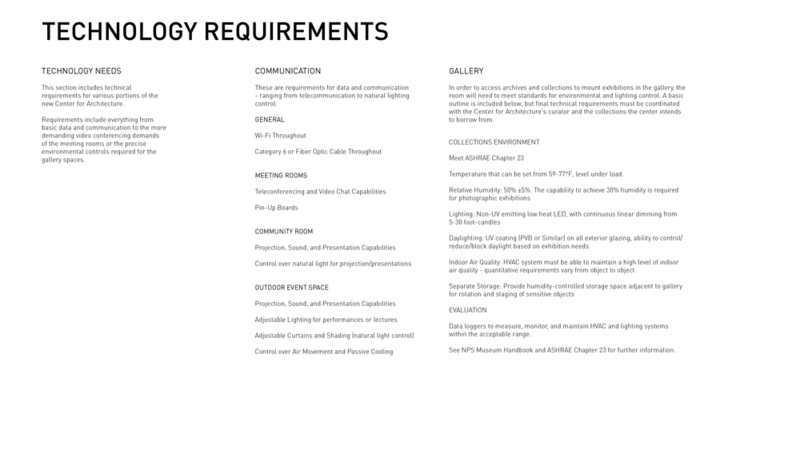 The document also outlines the general vision for The Center and addresses practical concerns such as technology needs and sustainability goals. 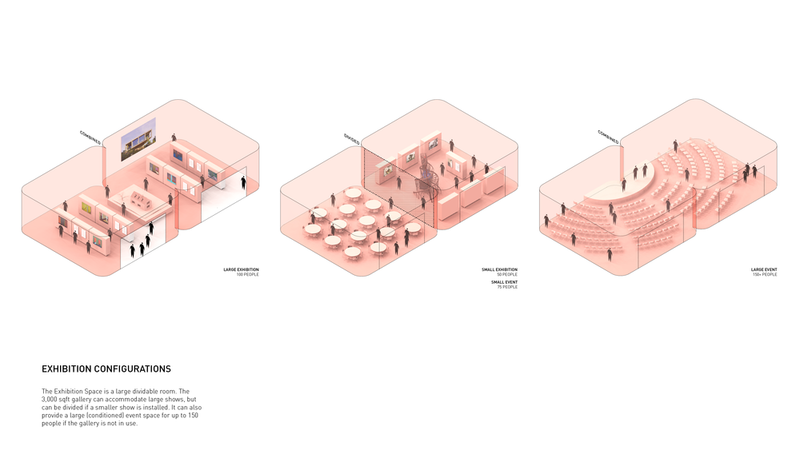 The program divides the buildings spaces into five types and arranges them from public to private. Public aspects of the program engage the public and face the street. 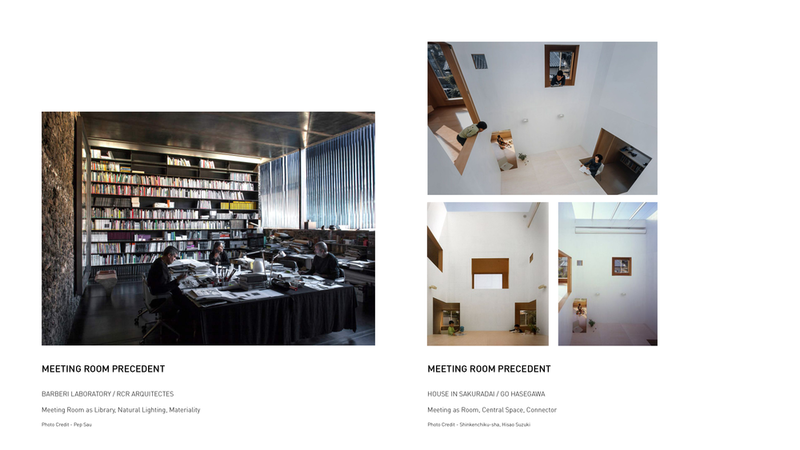 The private portions are less accessible and primarily serve the organizations staff and membership. 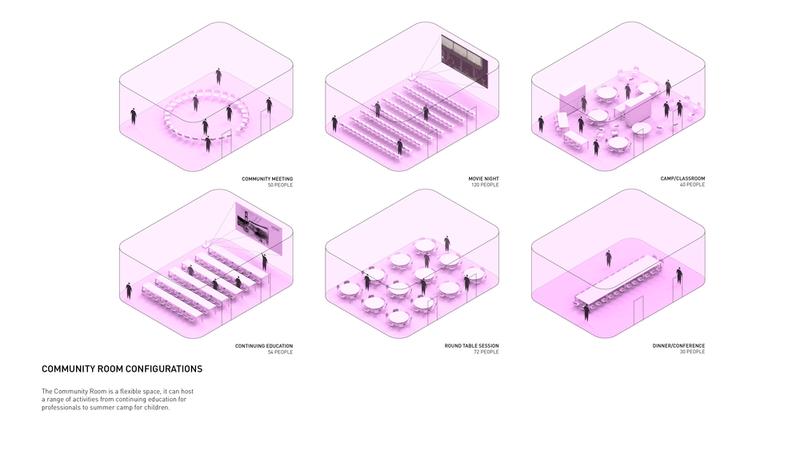 Each program’s areas are diagramed in three dimensions, showing both the floor area and volume required. Adjacent programs and various aspects of each program are shown as separate bubbles. 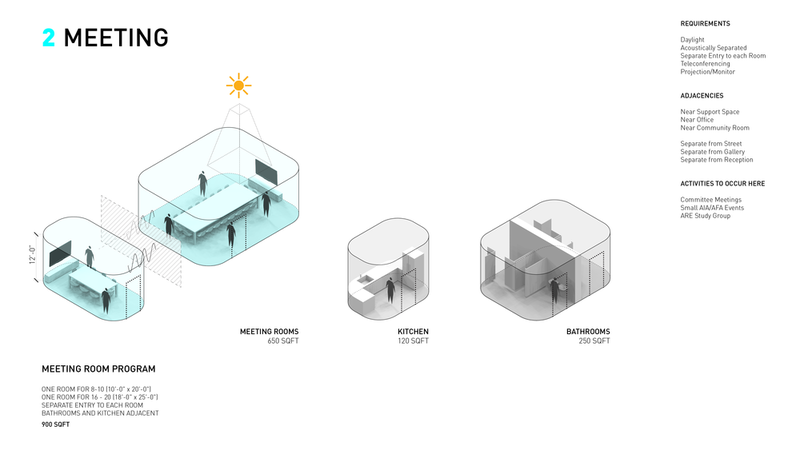 Above is the diagram for the office space in the center, bellow are the meeting rooms that serve the AIA membership and committees. 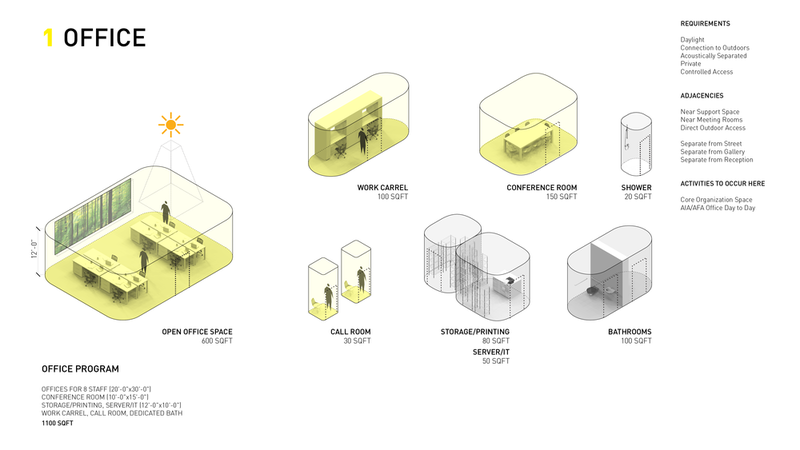 The new Center for Architecture aims to operate as a community-oriented information center for the public, greatly increasing AIA and AFA’s public presence in Austin. 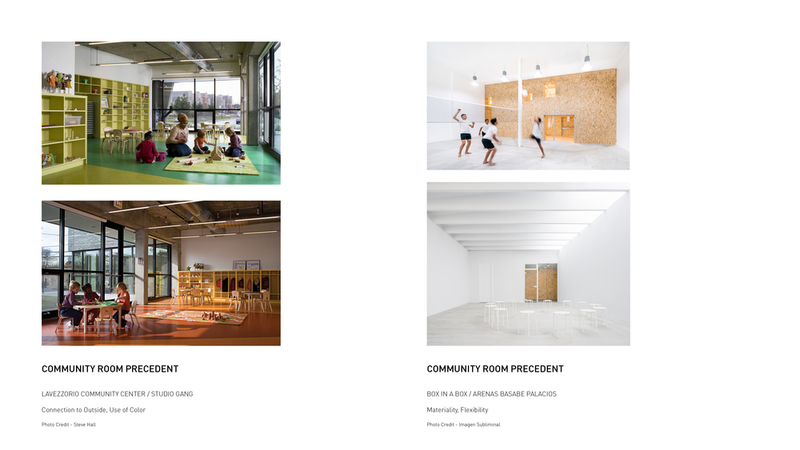 Accordingly the new building is primarily dedicated to two large public spaces - a community room that can be used for education programs, summer camps, or movies: and a large exhibition hall devoted to gallery space and large events. 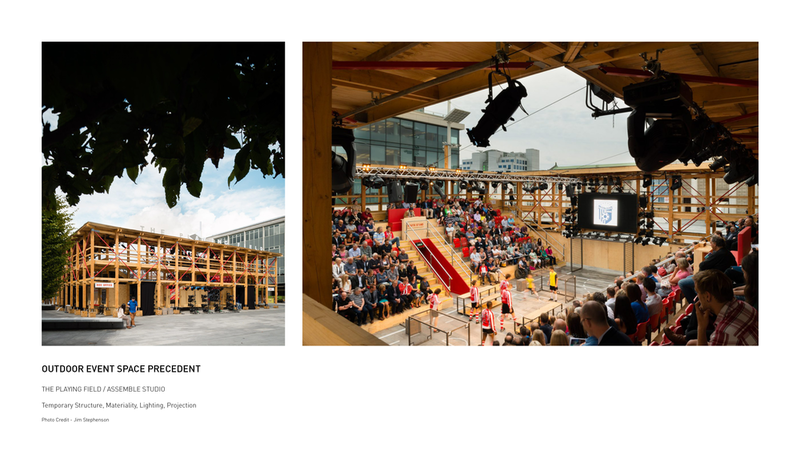 The building program also includes a large covered outdoor space dedicated to events and large scale activities - movies, parties, concerts, or a Architecture Pavilion Program. For each program we collected a number of precedents. 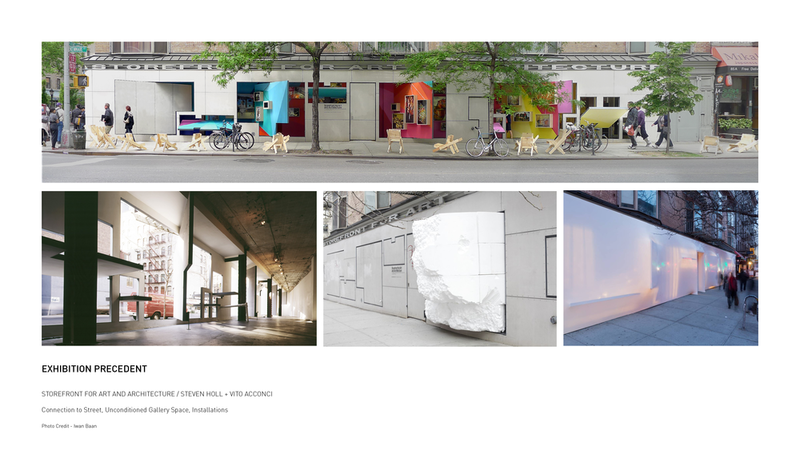 These precedents explore a variety of approaches and aesthetics the new Center for Architecture could embody. 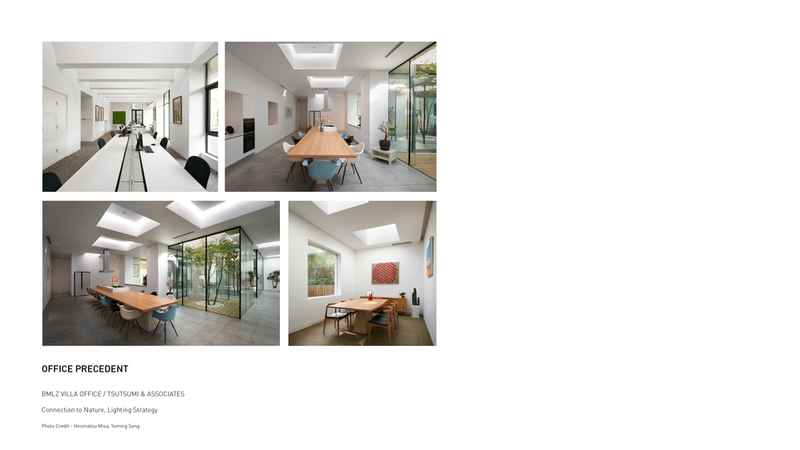 Above are two precedents for the multiform outdoor space.